As most of you are probably already aware, Disney made the decision to shut down a large portion of LucasArts, firing roughly 150 employees and disarming their development capabilities. There is an astonishing quantity of non-factual information and emotional rhetoric washing over the web right now about this, so it’s time to take a breath, sit back, and look at things objectively. This probably isn’t as bad as it looks. As with any event like this, it’s to be expected that the mass majority will forget about all previous variables and factors etched into the foundation of the event. For those who have [selectively] forgotten, LucasArts has been in the dump for many years now. In 2008 LucasArts’ president Jim Ward left the company. They then placed Darrell Rodriguez (formerly at EA) at the helm. 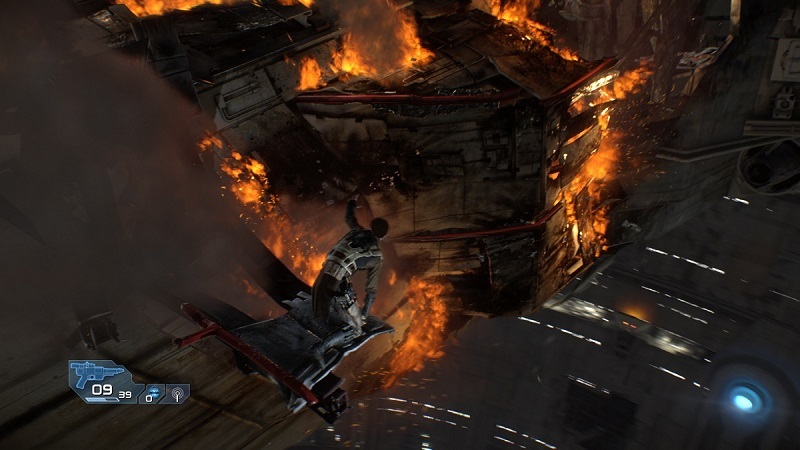 The company experienced layoffs after The Force Unleashed 2 - a relatively high budget game for the small company, which failed. Another large wave of layoffs in 2010 saw the departure of Rodriguez after only two years. After this, director of the original Force Unleashed - and one of the bigger creative minds at the studio - Haden Blackman left unexpectedly. LucasArts acquired Clint Hocking (famous for Far Cry 2) who then turned around and almost immediately left for Valve. At the end of 2010, 1/3 of LucasArts’ employees were fired. Two years later, in August of 2012, Paul Meegan (who replaced Rodriguez as president) left the company. In September of 2012 LucasArts stated that it was freezing all hiring activity. LucasArts’ financial position was weak. The Force Unleashed 2 was a major failure for the in-house development team and 1313 was looking to be an ambitious but costly product. There was nothing to suggest that Star Wars 1313 was going to sell nearly enough copies to allow them to reach equilibrium. Poor management, lack of strategic direction, and poor market research was tearing LucasArts up from the inside. Something had to be done. 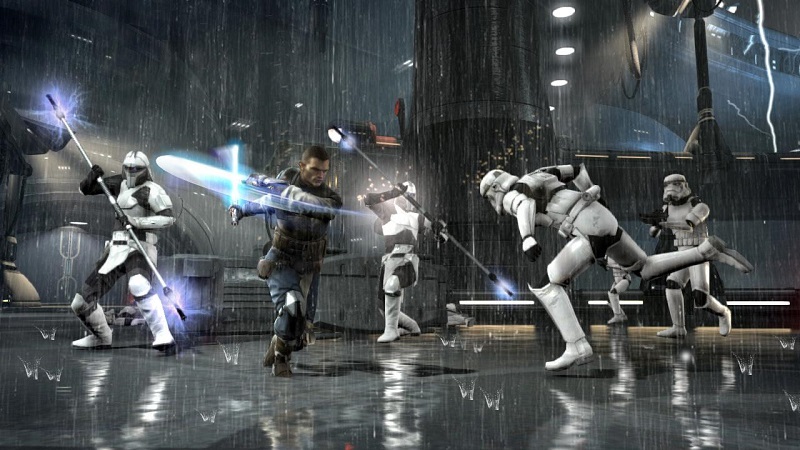 The Force Unleashed 2 was considered a failure by most critics and gamers. I’ve seen some awful journalism around the web over the past two days. “Disney Shuts Down LucasArts,” “Disney Closes LucasArts, Cancels all Current Projects,” etc. Is this event really so mundane that other game journalists have to sensationalize it to make it sound dramatic? Disney’s official statement directly contradicts the majority of what you’ve probably read online. Essentially, LucasArts is being refined into what it should be - a licensing entity that helps maintain the Star Wars brand by licensing it to competent companies. It’s not shutting down, it simply won’t be developing games internally anymore. For anyone who was born prior to 2005, that should sound awfully familiar…as most of LucasArts’ famous game franchises (Knights of the Old Republic, Battlefront, Jedi Knight, and Rogue Squadron) were made by external entities (BioWare, Pandemic, Raven Software, and Factor 5). The majority of LucasArts -branded games were licensed/published by the company, not developed internally. KotOR - one of the most highly rated Star Wars games and RPGs of all time was developed by BioWare and licensed by LucasArts. LucasArts has developed some incredible and memorable games internally, but the LucasArts of last week was not the LucasArts of the 1990’s. The creative mind behind most of LucasArts’ classics now heads up Double Fine and is putting out great games. Lucasarts hasn't put out a game like that in over a decade, so you really can’t be angry at Disney for that. Why are people all complaining about the “death” of 1313. Where in this restructuring did that game get killed or canceled? LucasArts is perfectly capable of licensing it, and whatever other projects they’ve been working on, to other companies. We don’t know whether LucasArts was even able to complete 1313. It’s been how long since its revealing, and all we have is one gameplay peek and some concept art? For those who want 1313 this could actually improve its chances of becoming a reality. The same goes for First Assault. Star Wars 1313 is not “Canceled.” The game might even be more likely to come out now that it can be licensed out to a dedicated developer. 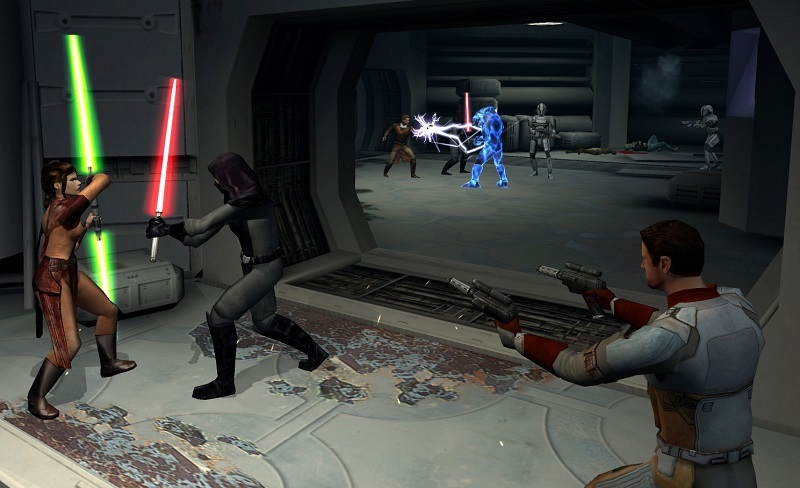 Disney is streamlining the creation of Star Wars games. No longer will there be a dispute over LucasArts internal development versus external development. No longer will LucasArts be driving itself into bankruptcy with its development wing. Star Wars games will now be licensed by LucasArts to other companies (Obsidian recently announced an interest in creating a new Star Wars RPG, for example), and both 1313 and First Assault are among the games that can be licensed out. They can finally get back to doing exactly what they’ve always been good at. This is the best thing that could have happened to LucasArts, and the only reasons people are upset (aside from the employees who unfortunately lost their jobs) are because they either don’t understand how internal development was a financial disaster, or they’re clinging to nostalgia for the 1990s classics as if they were developed last year. I see what you did there MrJenssen :P Very funny! In any case. I loved the article and even to me it opened my eyes to some stuff that the other news sites have indeed been misleading me with. I failed to realise that (derp) KOTOR was a licensed out game to BioWare and thus that hopefully, this change by Disney will mean we will get less Force (not)Unleashed games and more KOTOR quality Star Wars games. What the guy below me said about what the guy below him said. Thank you, Apollo. You're putting into short and concise words what a lot of us more critical thinkers are trying to tell people. Now instead of getting into a dumb discussion with a dumb emotional person who would love to yell and wave their fists in mindless rage towards the enormous Disney-corporation, I can just link to your article. LucasArts haven't done a really meaningful thing - development-wise, for about a decade if not more. The point-n-click games of the 90s were great, but since the new millennium, they haven't done anything that warrants their game development even existing. Like you said, LucasArts should be an entity and a rights-holder, which can control what kind of Star Wars related products it allows made by other, much better developers. It's just much better this way.